1 October, 2016, Cuttack: Before doing business with a judge’s brother, think twice. In the year 2000, Ravenshaw, a 150-year-old college, signed an MOU to start professional courses in “public private partnership” with Star Computer Institute Pvt. 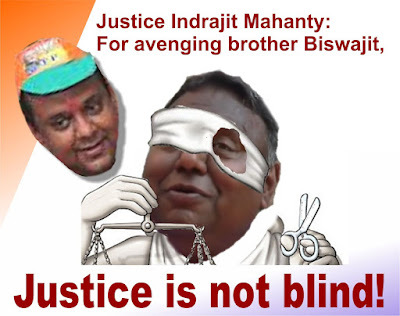 Ltd., belonging to BJP politician Biswajit Mohanty, son of Barrister Ranjit Mohanty, and brother of Orissa High Court’s second-seniormost judge Indrajit Mahanty. 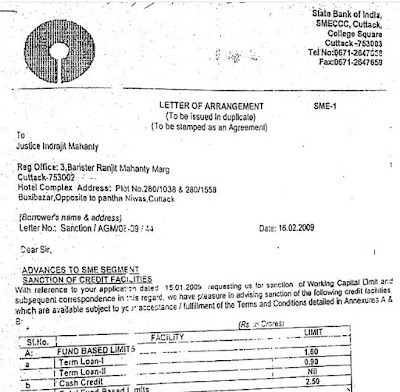 In 2011, this MOU was renewed for a further three years. Upon the MOU’s expiry in 2014, Ravenshaw (which was now no longer just a college but a full-fledged university) decided not to renew their MOU with Star. In the process, Ravenshaw incurred the enmity of Biswajit Mohanty’s elder brother, who proceeded to give them a taste of pure hell! Ravenshaw is a grand old institution with 8000 students and 90 faculty members, and a sanctioned strength of 153 faculty. It became a University through an enactment in 2005, and was bound by UGC’s guidelines, which said, “No university whether central/state/private can offer its programme through franchise agreement even for the purpose of conducting course through distant mode.” But, given the money and prestige involved, businessman Biswajit Mohanty was in no mood to leave the campus peacefully. So the matter went into arbitration, and also, in November 2014, an FIR was registered against Biswajit Mohanty because he allegedly “entered the University campus with five other persons and misbehaved with staff and students of the ITM department using the most filthy language”. The police complaint said that Biswajit Mohanty threatened them, saying, “If you don’t refrain yourself coming to the ITM department, I would assault you by entering into your home”. And then, in March 2015, came the judgment of the district judge to the arbitration petition filed by Star Computer Institute while the arbitrator’s final order was still awaited. The judgment upheld Ravenshaw’s right to terminate the MOU. 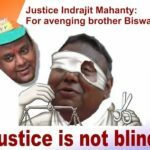 The FIR and this adverse judgment against Biswajit Mohanty provoked his big brother Indrajit Mahanty, who took all the high court cases concerning Ravenshaw into his hand. Until then, Ravenshaw’s cases were heard by single benches such as Justice S.C. Parija, Justice Biswanath Rath, and Justice Sanju Panda, and many orders and judgments were favourable to Ravenshaw. Multiple writ petitions filed in 2015 against a recruitment advertisement issued by Ravenshaw, were initially posted in the single judge benches of Justice B.N Rath, Justice Dr. B.R Sarangi and Justice Dr. A K Rath, and later, all recruitment matters were brought to the court of Justice B.R Sarangi, where they remained stayed for 7 months. Then, on 9th December 2015, a division bench of Justice D P Choudhury and Indrajit Mahanty overturned the earlier judgmentsfrom 2014, quashed the recruitment, and slammed Ravenshaw on almost every count. 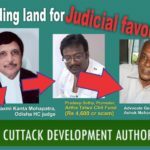 This bench — dominated by Justice I Mahanty who is almost a decade senior to Justice Choudhury (currently the junior most judge in Orissa High Court) – went on to initiate two suomotu civil contempt proceedings. Between March and May 2016, Justice Indrajit Mahanty passed eight orders on various cases that showed Ravenshaw who was boss! 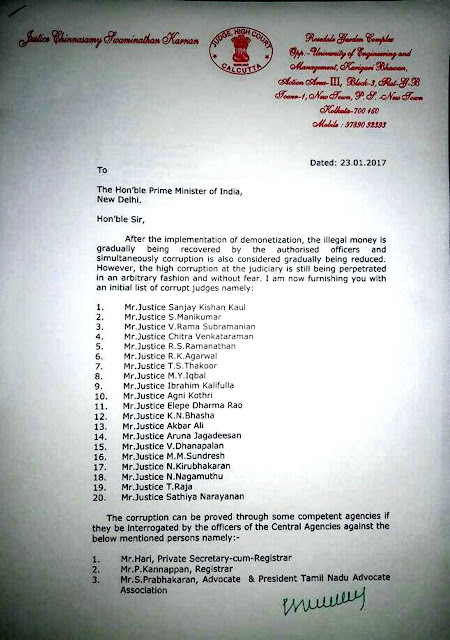 Was Orissa’s Chief Justice Vineet Saran ignorant about Justice Indrajit Mahanty’s special interest in Ravenshaw University? Or did he consciously allow Justice I Mahanty to use the court system to settle scores? 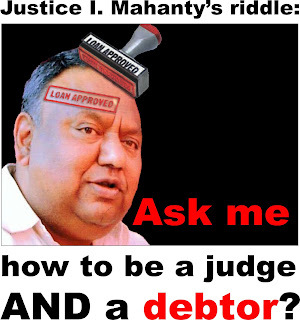 Unknown to India’s common man, is our judiciary generally functioning in this way? Do many of our judges have an axe to grind? Is it normal for some judges to say to each other, “I want to teach that party a lesson, so transfer that case to me”? Do they quietly manipulate and attract some cases to their own court? The main issue is not whether Justice Indrajit Mahanty is a good guy or a bad guy. It’s also not whether his judgments and orders in Ravenshaw matters are judicially correct or otherwise. The key issue is, why did Orissa High Court allow Justice Indrajit Mahanty to give judgments on Ravenshaw, where he had a vested interest? What happened afterwards: After activist Chittaranjan Mohanty, on behalf of the 8000 students of Ravenshaw, petitioned the Chief Justice of India and Chief Justice of Orissa High Court in July 2016, all Ravenshaw-related matters were taken away from Justice Mahanty.The division bench matters were assigned to a bench headed by Justice S.C. Parija and the single bench matters were assigned to Justice Debabrata Dash who hears all service matters. A PIL is about to be filed for review of the judgment and orders of the Division Bench headed by Justice I.Mahanty in Ravenshaw recruitment matter. Can IT Authorities Issue summon to HC Judge Indrajit Mahanty for questioning? 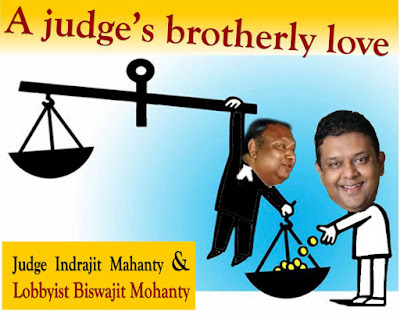 court should cancel all judgment taken by indrajit mohanty.